First, let me start by saying how thrilled I was to hear that Practice Makes Perfect was nominated in the Favourite Contemporary category of the ARR Awards!! 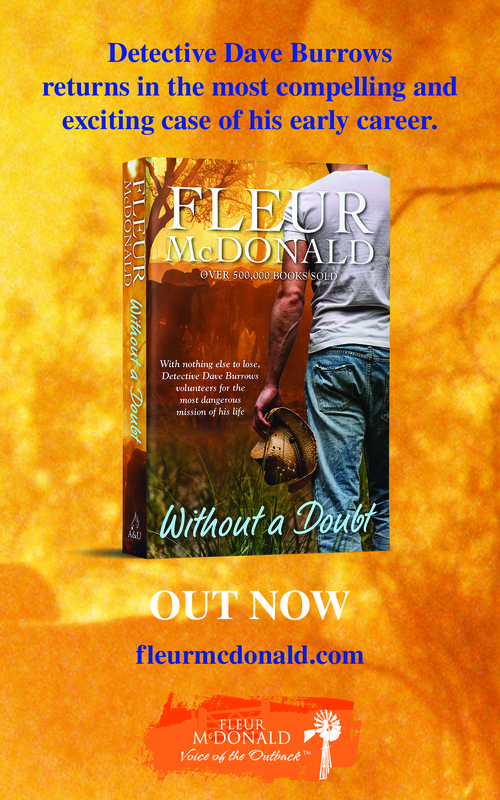 And I’d also like to thank the Australian Romance Readers Association for the invitation to guest-blog. I’m happy to talk about some of the things that have influenced and inspired my writing, so let’s get right down to it. Well, okay, maybe not necessarily Cary Grant per se (although back in the day he certainly wasn’t somebody a girl would’ve thrown out of bed for eating crackers), more the films of Cary Grant, and others of that genre. Not all the movies on the list were necessarily hits for me (ahem—The Best Years of Our Lives—booorrringg) [cut to Julie James’s father picking up the phone to lecture her on the supposed “genius” of this film], but one of the best things about the list was that it introduced me to the black & white romantic comedies of the 1930s and 40s. You know the movies I’m talking about—the ones full of back-and-forth sparring between a heroine and hero who don’t seem to like each other very much (at first), but we know from the get-go that underneath there’s an incredible mental, emotional, and physical attraction. Those older romantic comedies certainly have influenced my writing. I’m a big fan of all that banter. Why do I love back-and-forth interplay between the heroine and hero? Because to me, it signifies that they “get” each other, and that they see each other as equals. More important than what is being said, often, is what’s being said between the lines. There isn’t a lot of sentimentality or mushiness in these movies. How can there be, when half the time the heroine and hero can’t even admit to themselves how they feel, let alone to each other? But that’s the fun part: we, as the readers or viewers, get to watch as that attraction builds and builds, waiting for that moment when it’s going to rise to a boil and spill over uncontrollably. Without the sentimentality and the instant declarations of love, every word exchanged—every look, even—becomes that much more important. “So I saw your name in the Chicago Lawyer,” J.D. led in. Payton smiled. “40 To Watch Under 40,” she said, referencing the article’s title and proud of her inclusion in its distinction. Payton tried not to laugh as she tossed her hair back over her shoulders. Hardly. “If my gender hesitates to compete with yours, J.D., it’s only because we’re afraid to lower ourselves to your level,” she replied sweetly. J.D. casually leaned against the door and folded his arms across his chest. After eight years, Payton recognized this gesture well— it meant he was about to begin another one of his condescending little lectures. She gave it 95% odds that he’d begin with one of his pompously rhetorical questions that he had absolutely no intention of letting her answer. “Let me ask you this…” he began. J.D. held the door open for her and grandly gestured for her to enter. As she passed by him, Payton noted that Ben wasn’t in his office yet, so she took a seat in front of his desk. As J.D. sat in the chair next to her, she turned to him, coolly unperturbed. J.D. opened his mouth to jump in, but Payton cut him off with a finger. Index, not middle. She was a lady after all. “You want to be on the basketball team?” J.D. interrupted, his blue eyes crinkling in amusement at this. “It’s illustrative,” Payton said, sitting back in her chair defensively. It’s the look that gives it away—when J.D.’s eyes crinkle in amusement—that’s the moment we know what’s really going on: He’s enjoying this. Those might be fighting words coming out of his mouth, but underneath them, J.D. is that boy at the playground who pulls the girl’s pigtail because he can’t figure out how else to get her attention. Payton considered the terms of his proposal. Higher stakes for her there could not be. She had to tilt her head back to meet J.D.’s gaze, they were suddenly standing that close. Uh-oh, she thought, this is how it all started last time. She felt that familiar rush and thought about stepping back, but heaven help her if she ever gave an inch to J.D. Jameson. “I suppose now I owe you,” J.D.’s voice had turned softer. “You were amazing, Payton,” he murmured, his voice husky. Goddamn if that wasn’t just about the sexiest thing she had ever heard. True, they’re still arguing, at least at the beginning of the exchange, but the tone has changed and become more flirtatious. As Payton and J.D. each take tiny steps, being careful to gauge the reaction of the other, their dialogue and thoughts start to be less guarded and become more sexual. Which is one of the reasons I love banter between a heroine and hero—it’s essentially foreplay. And the more heated the banter, the hotter I think the couple is going to be in bed when they finally get there. With that said, I think I’ve babbled on long enough here. But I’ll be dropping by and would be happy to answer any questions you might have. For more information about me and my books, feel free to visit my website at www.juliejames.com. Happy reading everyone! And thanks again, ARRA! I ordered her first book by accident. The ‘click and buy’ button on Amazon is just so darned small and it was recommended for me. God I fell in love with it! Practice Makes Perfect made me laugh out loud so hard it hurt. My daughter is in law school and I bought a copy for her. She fears she will never see it again as the entire firm is passing it around. Julie James has become one of my favorite authors. Man, I wish those Amazon people with their “recommended for you”, was around while I was choosing a husband. All of her books are really very good, but her first will always be one of my all time favorites. Julie, no pressure but please write faster. Hi Debbie! Glad to hear you enjoyed JTSMA and PMP! And thanks for the congrats! I was thrilled PMP was nominated. And such great company to be in. You were my find of 2009 too. Just the Sexiest Man Alive really blew me away. And it was your first book! I read it on the recommendation of a friend and then recommended you to at least three other friends. We all think your books are fantastic. The only drawback of course is that there is no back list to hunt down and read. We had to wait (not very patiently) for Practice Makes Perfect. And now we are waiting again for the next book. Only a few weeks to go – yay! Congratulations on the nomination for favourite contemporary. Katiebabs: So true! Cary Grant could pretty much do anything and still look suave. Helen: Thanks! Re: titles. . . candidly, Berkley has changed all the titles I originally proposed for my books. Although “Something About You” was also my idea, after they nixed my first suggestion. Maybe I’m getting better at titles as the books continue. Congrats on the nomination, you were one of my finds of 2009. Am so looking forward to the new book was reading the extract last night. Can you give us more of a sneak peak? Firstly huge congrats on the nomination and the very best of luck to you. Cary Grant yummo he has always been a very big favourite of mine in movies and mostly because as you say the banter that happens I too love the build up to a HEA and how the hero and heroine get to know each other. Fingers crossed for your books being made into movies. 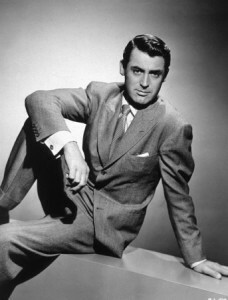 Nom for Cary Grant. A few months ago I finally watched Arsenic and Old Lace. Grant is even classy while running around like a chicken with its head cut off. Your books into movies would be great. Even better if you wrote the screenplay too. I hope they get made. There is not enough contemp stuff around in books or movies. It’s almost as if the trends mirror each other. Vampires, paranormals & horror abound. I hope the trend changes. Julie, thanks so much for dropping by our blog! And congratulations on your well deserved nomination for Practice Makes Perfect. So, as a huge fan of your books I have a question. Since you write screen plays…are there any plans for any of your books to be made into movies?